The armed forces used to be centrally located during the ancient times, whereas, in the middle age, they were deployed in vital locations like fortresses in strategically important places of the country. The commander of the fortress was called "Kwantha Nayak" and they were very powerful. The Malla dynasties ruled Nepal in the middle age. 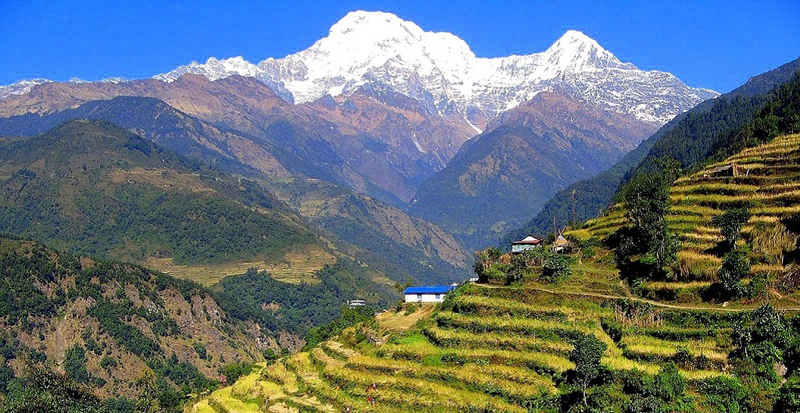 Newar Malla kings ruled over Kathmandu valley and the surrounding areas while the Karnali region was ruled by Khas Malla kings, who had maintained powerful armies. King Jitari Malla had attacked Kathmandu valley but the Khas Malla forces were ignobly defeated by the Newari Malla soldiers. 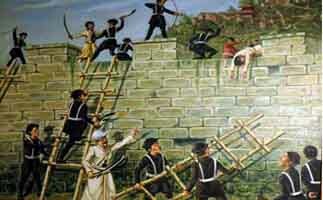 This was a turning point in the history of the Nepali army (NA). Since unification was not possible without a strong army, the management of the armed forces had to be exceptional. Apart from the standard army being organized in Gorkha, technicians and experts had to be brought in from abroad to manufacture war materials. After the Gorkhali troops finally captured Kathmandu (then known as Nepal), the Gorkhali armed forces came to be known as the Nepali Army. Their gallantry, sincerity and simplicity impressed even the enemy, so much so, that the British East- India Company started recruiting Nepalese into their forces. Since the British had fought against the Nepali Army, which was till that time, still colloquially known as "Army of Gorkha" or "Gorkhali" army, the British took to calling their new soldiers "Gurkhas". Hence, in essence, the “Gorkha” heritage belongs, first and foremost, to the Nepali Army. There is still some misunderstanding that the Nepali Army is a part of the British and Indian Armies. The Gurkha Rifles existing in India and Britain are part of foreign military organizations where Nepalese are recruited. The NA rightfully is the proud national army of sovereign and independent Nepal with an unbroken history since the year 1744. The fact that Nepal and the Nepalese people have never been subjugated by any colonial power is a significant achievement of the Nepali Army. 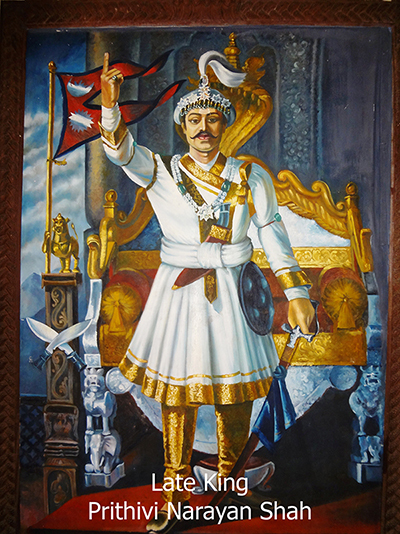 King Prithvi Narayan Shah the Great was the founder of the Nepali Army. The unification process by Prithvi Narayan Shah continued after this death in 1775. The Kangra fort, now part of Himachal Pradesh of India, was kept under encirclement for three years during the unification battles by the Nepali Army under the command of Bada Kazi Amar Singh Thapa. In the years that followed the death of King Pritvi Narayan Shah, his younger son Regent Bahadur Shah and others had succeeded in extending Nepal to the Sutlej river (now in India) and beyond in the West and Sikkim and Bhutan to the East. The Kangra fort, situated on top of a hill about 64 Kilometers from the Vyas river, was considered impregnable and had a great strategic and military importance.